Entrepreneurship, Social Innovation and Leadership. We are a 2-week experiential learning camp that incorporates a series of challenging, and thought- provoking teaching methodologies that empowers and prepares youth for a changing world through lifelong learning. In the world of fads, names, buzz words and new methodologies used in education, one constant question, we at BIZNOVATOR are asked—what is mindfulness? First, mindfulness is not new. It’s been around for centuries. To BIZNOVATOR and Cala Enterprises, mindfulness means, in simple terms, being able to maintain and honor an awareness of our thoughts, feelings and our surrounding environment through a sincere understanding and consciousness. At our ieXponential Camp, students will learn to practice mindfulness by connecting to the present rather than focusing on the past or forecasting their future. We are very excited that University of Miami has welcomed the i-eXponential Camp to be hosted on their beautiful campus. Because UM is a Green Campus and fosters global sustainability, it makes for a perfect environment for us to teach our students mindfulness, and the ability to take what they learn in the classroom and put into practice at the UM campus and in their own communities. One of the hottest topics being taught in Colleges, included Start-Ups and Corporations is innovation. Many innovations of the past are still used today. For example, the Band Aid went to market in 1924; the Shaving Blade in the 1940s; The Ice Cream Popsicle was founded in 1905 by an 11-year old; the Slinky in the late 1950s. These are just a few, there are thousands more around the word! More recently we’ve seen more young innovators and inventors pop with some amazing ideas and companies that have changed the way we think, the way we teach, the way we run our businesses, even the way we move around. Uber, Facebook, Instagram, Twitter, AirBnB, there are too many to list, but you get the picture—innovation is very important. The founders of i-eXponential Camp were very convinced that innovation needed be one of core modules in our camp. One reason is, that innovation combined with creativity activates the thinking process. Research shows that the earlier we encourage students to use innovation to solve problems socially or for commerce, the better. For example, thinking out of the box can work wonders when learning. When innovation and creativity is used in education, it generates excitement passion, and it encourages teamwork when coming up with ideas and solutions. From the perspective of decision-making, it draws many ideas that can be collected from being in a creative environment. The Impact Projects / Social Ventures the student come with will include innovation, creativity, and of course the alignment with the SDGs. Innovation in general is one skill set that corporation are looking for when hiring recent college grads. For more than 50 combined years of teaching personal growth and development throughout the world, Ismael Cala and Juan Pablo Casimiro have worked, firsthand, with thousands of extremely brilliant young people. In their journey, they discovered that many young people are filled with untapped potential that has not been explored and maximized. 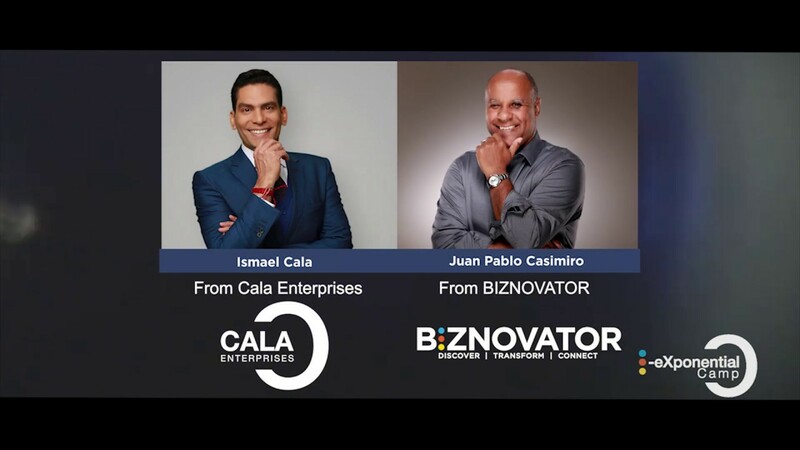 It’s for this reason that the BINZOVATOR and Cala Enterprises executives (Casimiro, Canaday, Cala, Torres) have joined forces to create the i-eXponential Camp at the University of Miami. After years of empirical research and planning, we have chosen to make Leadership, the “key” Exponential Learning Module (ELM) during the empowering 2-week ieXponential Camp experience. i-eXponential Camp and its team equips young leaders with the proven tools and strategies to lead successfully; that said, we are entrusting our students to inspire others to impact the world in ways they’ve never imagined. We know that today, young people are in the cusp of the world’s complexities and fast-paced changes. Because we know that our young people will continue to be influenced by the frenzy of social media, education, career demands, and parental expectations, students will learn to lead from within. Through this carefully designed leadership module, students will learn that to transform the world, they must first begin by transforming themselves. We designed the four (4) Ps of Aspiring Leaders to give students a clearer understanding of their own exponential leadership style. Purpose: Recognizing where you’re going and what makes you feel happy on the journey your entering. Positive Mental Thinking: Understand that limitations are created from within, and that through PMA, students can unleash the leader within. Potential is eXponential: Making decisions and taking action that will help you maximize your true potential. Aligning personal goals with values, ethics and mindfulness. While the leadership module is the foundation of the i-eXponential Camp, our entrepreneurship experience, “is as much a part of our tool kit as walking on two legs and having a creative brain.” (Augustin Fuentes, Anthropologist). While we have reserved 3 full days for entrepreneurship, students will experience additional entrepreneurial moments throughout the camp. We are believers that entrepreneurship is learned in the most non-traditional way possible—we use exploratory learning to the max when teaching youth such an important subject. For years we’ve been teaching youth from around the world entrepreneurship skills that equip and prepare them to launch ventures with purpose! Throughout this module we focus on the core principles of entrepreneurship and social innovation. We enable students to view entrepreneurship as a viable career path that can help them create economic stability, job creation and positive social impact in their communities. This also raises their awareness of the potential to live an independent and purpose filled life. Entrepreneurship gives students the freedom to dream and create value to their own family’s businesses. As Casimiro always says, i-eXponential Camp provides students the platform, while they simply arrive with their relentless curiosity to learn ways to disrupt the marketplaces they represent. By this we mean that students get to visualize and focus on their success as an entrepreneur in a thought-provoking, safe and encouraging environment. For many years the i-eXponential Camp team has been offering programs that empower, teach and motivate youth to build career skills through experience. When wanting to become career ready, you must think of the famous quote shared by Steve Jobs, “The only way to do great work is to love what you do. If you haven’t found it yet, keep looking. Don’t settle. As with all matters of the heart, you’ll know when you find it.” In the Career Readiness module and the overall camp, students will be guided through a series of activities that we know are needed in the workplace. These activities will highlight several crucial skills needed in today’s workforce. Some of these skills include: Active Listening; Social Development; Operations Analysis; Coding; Management; Critical Thinking; Oral Expression; Complex Problem Solving; Decision Making and Teamwork to name a few. We can guarantee that this activity teaches students that the one of the keys in life, is to impact the lives of others, and not to solely focus on rewarding oneself. Through their impact projects students will also gain leadership, planning, researching, social responsibility, communication, team building, and a plethora of life skills that they can apply when entering college, graduate school or their professional careers. Having Corporate Roundtables serve as a perfect experience to hold discussions that will allow students to explore and learn directly from corporate executives that are filled with in depth information that’s of value to our students. They’ll experience the worthiness and personal ways of discussing opinions and differences. This module begins by giving students 2-3 case studies for them to discuss in teams while on campus. Each team has the opportunity to share their findings, opinions and innovative ideas that can bring value and improvement to the company they studied. Next step in this module is to attend Corporate Roundtable discussions at two (2) different corporations in Brickell, Miami’s corporate and financial district. Traditionally, we have visited corporations like Starbucks, NewLink, Cisco, SAP, Mastercard, VISA, Citibank, New York Life to name a few. At these Corporate Roundtables, student teams get to share their case study findings and they’ll pitch their innovative ideas for the company to listen and give feedback. 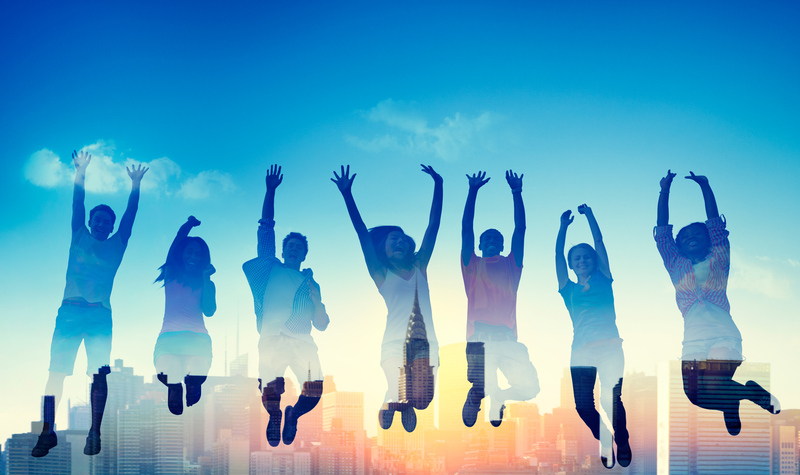 At this activity students will learn to play the role of Gen Z analyst and consultants. On September 25, 2015, 193 world leaders committed to 17 Global Goals to achieve 3 extraordinary things in the next 15 years. End extreme poverty, fight inequality and end inequality and stop climate change. 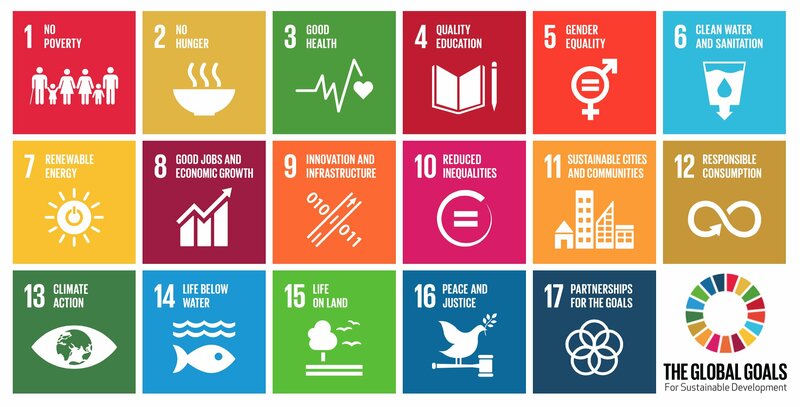 The Global Goals for sustainable development could make these things done in all countries for all people. Guided by the 17 SDGs, i-eXponential Camp will teach the students to align their Social Ventures with at 1 to 3 SDGs. Teaching students the importance of civil society and how the general public can work together to build a better future for everyone. The students will appreciate that they too, are empowered and equipped to play a major role by making sure the SDGs are being met. They’ll witness, firsthand, that anyone can make a difference in changing the world. 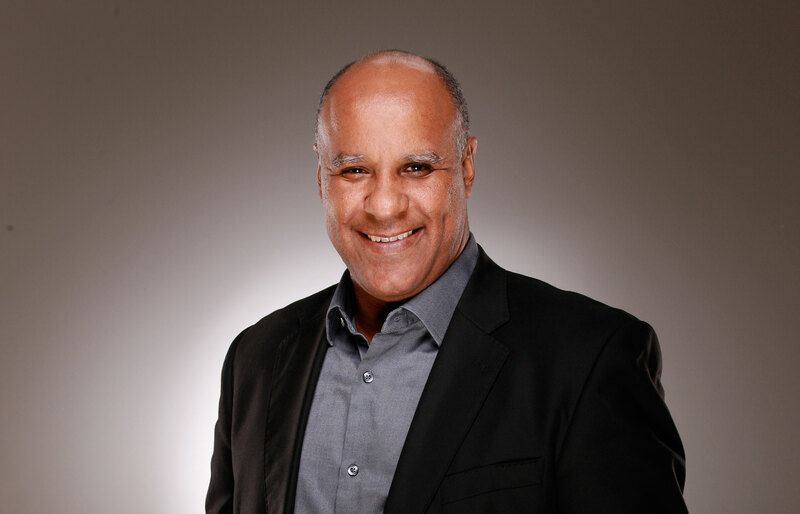 Life and business strategist, best-selling author, journalist and international speaker specialized in personal development and mindful exponential leadership. He has received personalized training from renowned international leaders such as Robin Sharma, John C. Maxwell, Deepak Chopra, Brian Tracy, and Tony Robbins, and completed the Executive Program in Exponential Leadership at one of the most prestigious and advanced universities in the world, Singularity University in Silicon Valley. Through his conferences, workshops and inspirational retreats, he has touched the personal and professional lives of hundreds of thousands of people. Cala has positively impacted more than 400 companies in over 25 countries. The New York Times has identified him as “the Latino Larry King”. A member of the National Speakers Association (NSA) in USA. Founder and president of CALA Enterprises Corporation, a content production company focused on leadership, mindfulness, happiness, productivity, and excellence as a culture. President & Founder of Ismael Cala Foundation. As founder of Casimiro Global Foundation and Co-Founder of 7 Mindsets, Casimiro consistently utilizes strategies that incorporate entrepreneurship and social innovation to strengthen human capacity and sustainability. 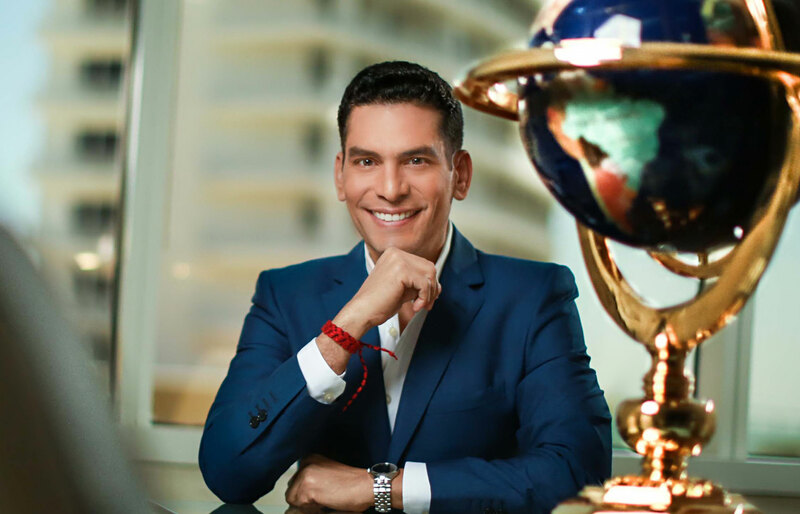 Known for his passion and dedication to service, Casimiro is engaged in social impact by helping grow non profit organizations that provide sustainable development. Key to Casimiro’s purpose is to coach and mentor under served youth in different countries.